For those who reside within the city limits of Lakewood, there’s rarely far to go. When traveling somewhere within our 5.5-square-mile community, you’re never far from your destination. 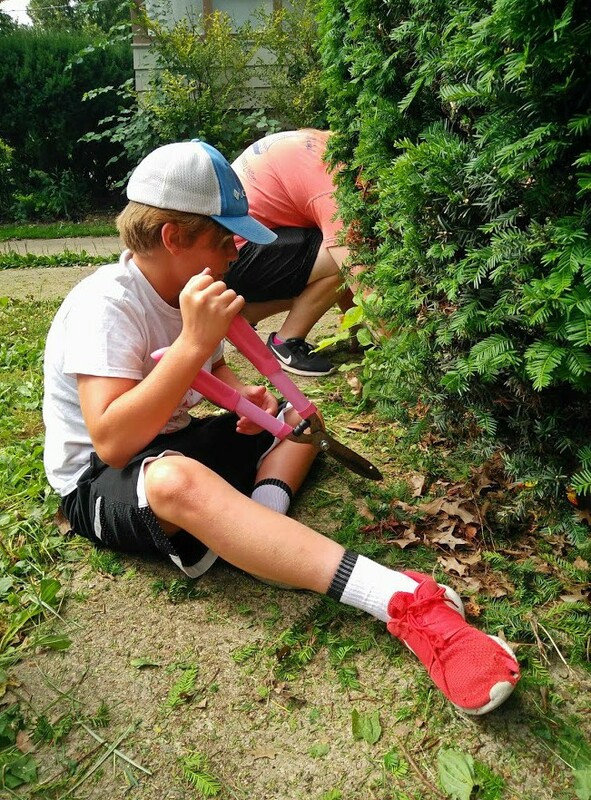 The same, however, cannot be said for the team of student volunteers seen raking, mowing, trimming and weeding at a private residence on Newman Avenue today. 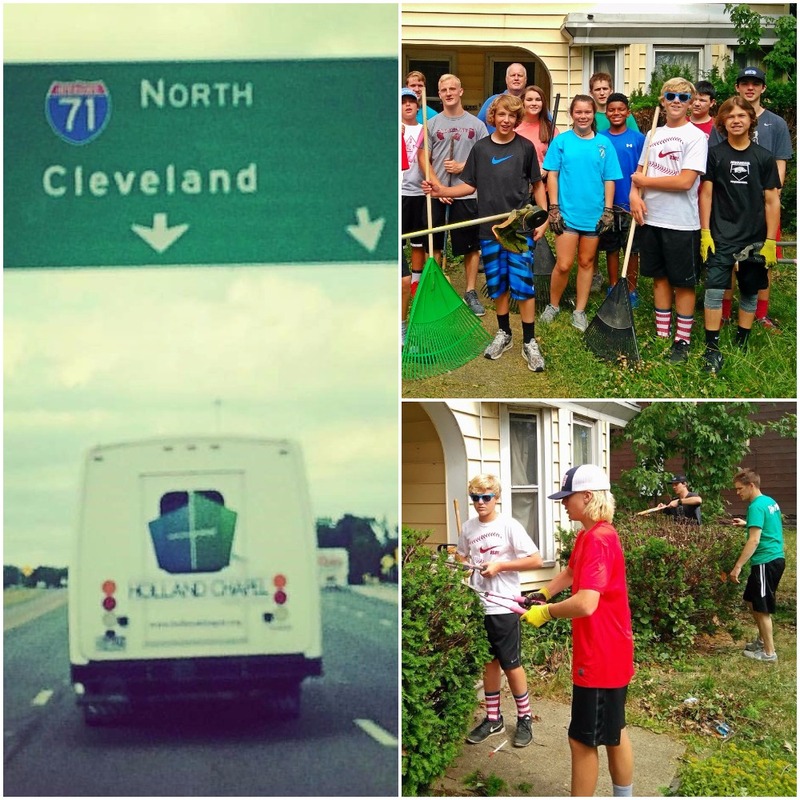 Representing Lakewood’s Cross Point Church (16601 Madison Avenue), the group from Holland Chapel in Benton, Arkansas journeyed 900 miles by bus and van, partaking in a student mission trip to complete a beautification project in conjunction with LakewoodAlive. 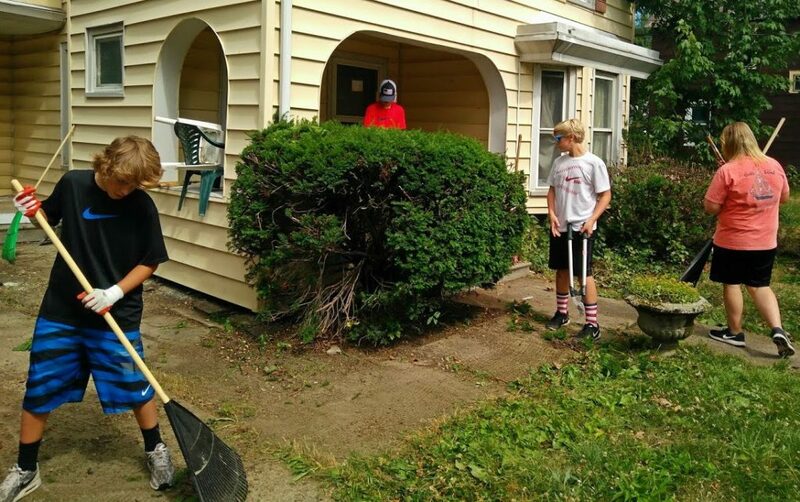 More than 25 students aged 11 to 17 – along with several adult leaders – descended upon eastern Lakewood armed with clippers and rakes. 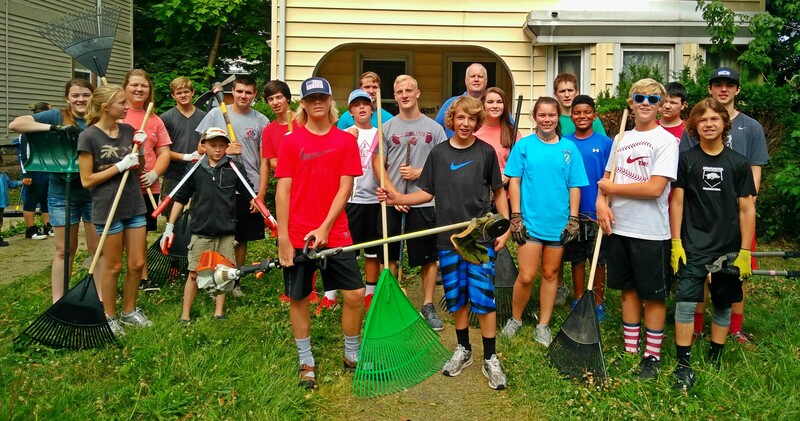 There they were met by LakewoodAlive staff members and a group of Lakewood High School students to conduct a curb appeal project within one of LakewoodAlive’s focus neighborhoods for community engagement. 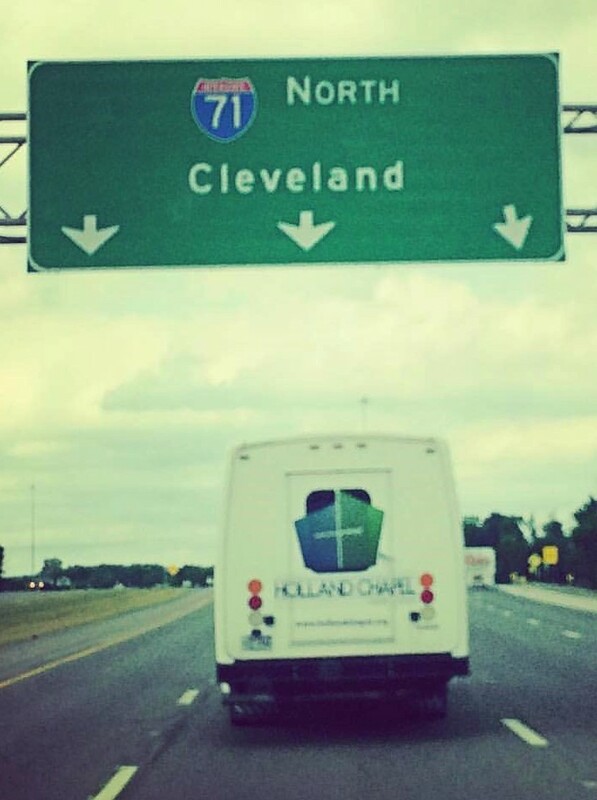 That the mission trip required a lengthy commute did not seem to bother the group from Holland Chapel, which is located approximately 30 miles from Little Rock, Arkansas. 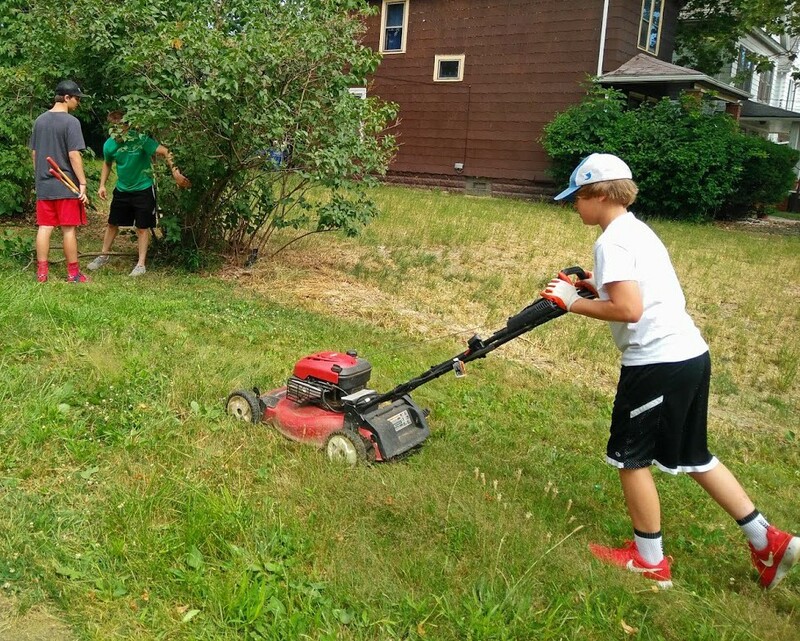 Cross Point Church Lead Pastor Todd Calaway, who previously served as Outreach Pastor at Holland Chapel, helped facilitate the mission trip taken by members of his former home chapel. 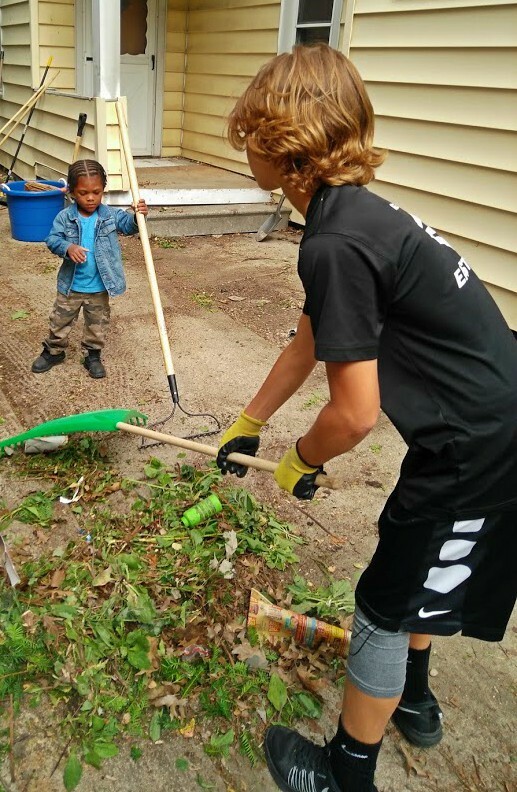 Calaway also arranged for Dylan Summerville of Holland Chapel to spend part of the summer in Lakewood serving as an intern for Cross Point Church. 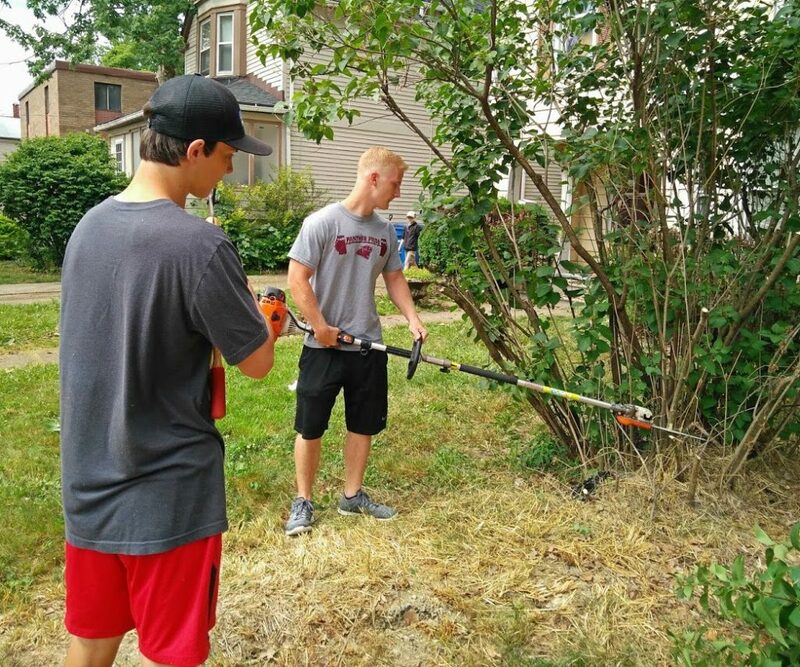 The students participating in the mission trip will spend several more days in Lakewood and greater Cleveland completing various volunteer projects before commencing the journey home to Arkansas. LakewoodAlive and the student volunteer group celebrated the completion of today’s beautification project with a trip to The Gorilla Lakewood for barbecue and ice cream. Before long, though, these dedicated volunteers will be back on the road, devouring highway miles and spreading their altruism elsewhere. But the City of Lakewood is better off from their impactful, albeit temporary, presence.